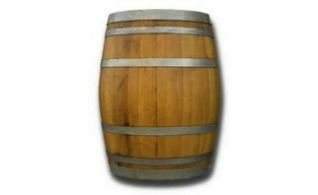 The American Oak Barrel available with Musca Wine Pressing & Supplies is a toasted oak barrel that holds 46 litres of liquids. American Oak Barrel 46 Lt.
American oak barrel with a toasted wood finish. This barrel holds up to 46 Lt. of liquids.